September may have gone by in the blink of an eye, but we can still learn something interesting from it. We’ve compiled the top 5 infographics, with a wide variety of topics. 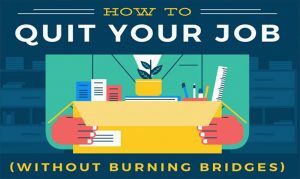 From quitting jobs to medicinal drugs, these infographics are sure to capture your attention and teach you a thing or two. Everyone has some variation of this internal dialogue: “By the age of __, I will have done __”. Feeling like you’ve wasted your time, and are too old to start over, career-wise? 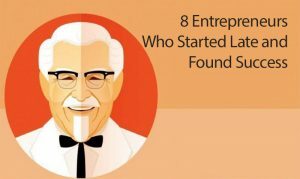 Take a gander at this infographic, and check out these 8 entrepreneurs who started late in life and accomplished impressive feats. Then, get out there and start accomplishing your goals! You may be ready to move onto the next job, but that doesn’t mean you can’t go out with grace. This infographic gives great advice, so you can use your current boss as a reference for years to come. 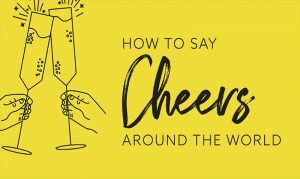 This fun infographic teaches you how to say cheers in 33 different languages. This is a party trick you’ll want up your sleeve! CBD, or cannabidoil, doesn’t contain THC, so it won’t get a person high. What is does do, however, is treats pain, anxiety, depression, immune issues and more. 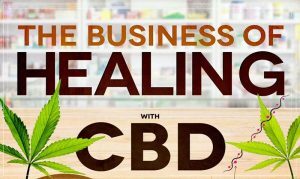 CBD is a $1 billion industry, and sales are expected to grow to $22 billion by 2022. Learn more about CBD by checking out this infographic. 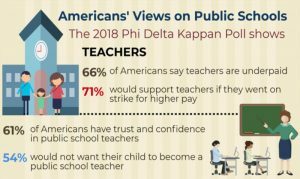 Teachers play such an integral role in shaping the future generation’s minds, yet 66% of Americans feel we underpay them. 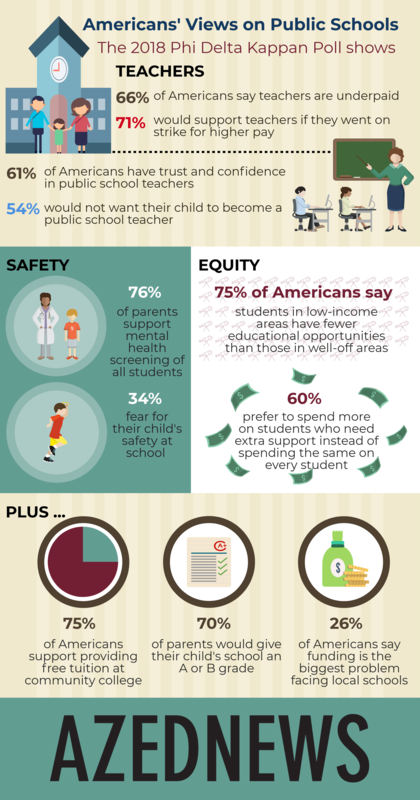 For the 17th year in a row, American say the biggest problem facing local schools is the lack of financial support. This infographic is an eye-opener. We use many words to describe those who answer our sometimes-tedious surveys: “respondents”, “participants”, “subjects”, etc. As some have noted, how about using “people”? Then maybe we’d empathize better with them for what we are asking them to do, as Rudley Raphael very eloquently argues in his article. It’s the right thing to do – give them a better experience, and we’ll get better information back. QuestionPro Audience provides its clients access to millions of research participants who are pre-screened and highly qualified to participate in a variety of research initiatives of any level of specificity. We have more than 10 specialty panels developed and managed in-house, including veterinarians, pet owners, millennials, physicians, and over 20 years of industry experience in research and data collection. The majority of millennials graduated from school during the Great Recession (2008), and encountered a harshly competitive workforce. This resulted in many taking part-time jobs, or jobs outside of their degree in order to make ends meet. Millennials are currently the largest generation in the U.S. workforce, accounting for 31.7% of total employment. A recent report from LiveCareer looked into the most popular jobs among millennials. We analyzed the top five most popular jobs among the millennial generation. There are currently 125,000 people employed as front desk clerks working in hotels, motels and resorts, with millennials making up 52% of the total amount. The average age of all employees is 31.7, and they make an average of $22,850 annually. Bank tellers work with customers to receive and pay out money, and maintain transaction records. With the popularity of ATMS and online/mobile banking, the number of tellers is projected to decrease by 8.3% from 2016 to 2026. There are a total of 306,000 bank tellers employed in the U.S., and millennials comprise 55.2% of that, with an average age of 30.9, and annual wage of $28,110. Waitstaff in restaurants do not require formal education, which may be one of the reasons why it is so popular with younger employees. The total employment is 2,016,000, and millennials make up 56.4% of the total employment. The median age of all employees is 26.6, with an annual income of $20,820. Vet assistants work under the guidance of a veterinarian, laboratory animal technologist, or scientist to provide care to animals. Unlike vets and scientists, who require an advanced degree, veterinary technicians only require a high school diploma. There are a total of 61,000 vet technicians in the U.S., and there is a projected growth of 19.4%. 59% of vet technicians are millennials, and make an average of $26,140 a year. The top millennial-employed position is the bartender. Late nights and long hours on your feet make this professional a great job for younger populations, as opposed to older generations. Of the total bartender workforce (417,000) 60% are millennials, with the average age of all employees 31.3. Bartenders do not require any formal education, though many may have completed a bartending course. This profession is expected to grow by 2.5% by 2026. Labor Day isn’t only the last long weekend of summer—it was started in New York City in 1882, when rival union leaders joined forces to protest unpair labor practices. While not all Americans know the history behind the date, they do appreciate a three-day-weekend to soak up the last vestiges of summer. Kick back, relax, and check out our infographic for interesting facts about this historical day, and why we celebrate it. Are Cat Owners Happier Than Dog Owners? Ahh, the age-old debate: dogs vs. cats. 36% of U.S. households own a dog, with 30% owning a cat. Interestingly, cat owners are more likely to own more than one cat, while the majority of dog owners keep it to one. Animals lovers feel very strongly about their choice in the cat/dog discussion being the right one, so which one wins? To determine which is the superior pet, let’s see how cats and dogs stack up. Cats have better vision, with their ability to see better in less light. Smell, however, goes to the dogs. Their ability to detect and distinguish odors is four times better than a cat’s. This one’s guaranteed to start a few arguments: intelligence. Cat owners argue that cats are smart enough to get people to take care of them while doing little more than purring in return. But when you start thinking about all the jobs dogs have been trained to do, from smelling malignant tumors to tracking criminals, they’re the clear winner. Those qualities are great, but do dogs and cats benefit their owners’ lives? The University of California released a report that found at owners to be more creative and anxious than dog owners, while dog owners were found to be more extroverted. Additionally, dog owners were found to be more agreeable, conscientious, and open, with lower levels of neuroticism. It has been increasingly accepted over the past decade that pet ownership, of any kind, has a positive effect on humans. A recent study found that pet owners were slightly happier than non-owners, more satisfied and have lower levels of negative emotion than non-owners. The National Institute of Health (NIH) found that playing with your pet increases the levels of feel-good chemicals like serotonin and dopamine in your brain. Additionally, pets are conversation starters, and can help you build your personal community. Pets give you the chance to meet other animal lovers at the vet, pet store, or training classes. Dogs—and some cats!—love going on walks. Dogs require regular walks which forces you to be more physically active. One study followed 2,500 adults, ages 71 to 82, and found that those who took their dogs out regularly had more physical stamina—they walked faster and for longer periods of time, and have more mobility inside the house. While cats don’t stereotypically go for walks, they do like to play with cat toys and stay active.